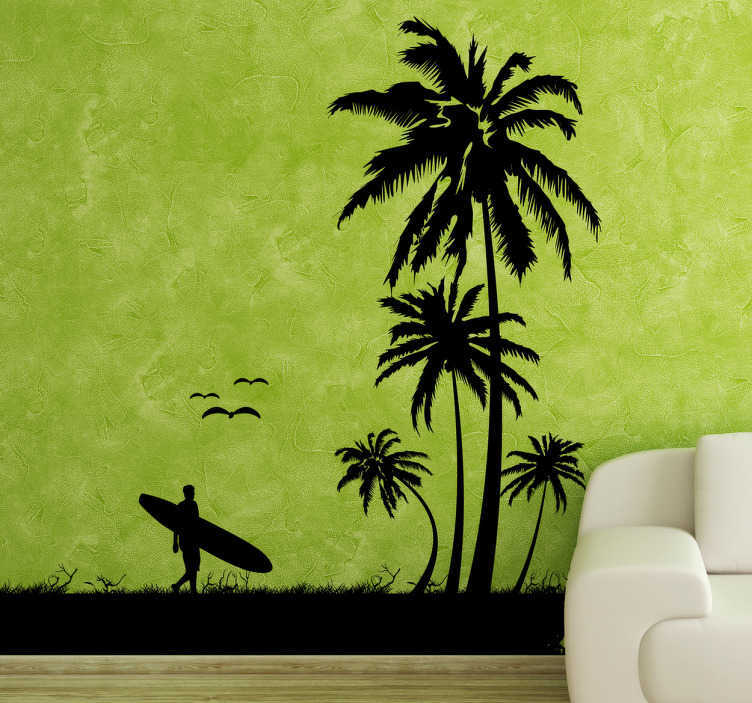 A fantastic silhouette wall sticker illustrating a tropical beach with palms, birds and a surfer. Great beach wall sticker for those that love travelling. Do you love surfing? Do you want to give your home a warm atmosphere? If yes, then this monochrome design is perfect for giving your walls a touch of originality.